DAPITAN CITY, Philippines - The people of Dapitan City and Zamboanga del Norte provinces are performing a miracle! This was the pronouncement made by Department of Education Secretary Armin Luistro in front of a throng of well-wishers, led by Governor Rolando Yebes and Palaro Executive Committee Chairman Romeo “Nonong” Jalosjos, during his arrival here for an ocular inspection of the facilities for the May 8-14 Palarong Pambansa. After making an inspection of all the sports facilities right at the main venue for this national sports tournament, Luistro officially declared that the Palarong Pambansa be held in Dapitan. His declaration met cheers among city and provincial officials. “I think in your midst, I think I can make the quiet announcement that the Palarong Pambansa will be held in Dapitan City,” Luistro said. Luistro said that this was his first visit to the would-be Palaro site and the second time for his Assistant Secretary Tonisito Umali. “In the car on our way back from visiting the site, I asked Assistant Secretary Tony what he saw today compared to when he arrived here at first months ago. 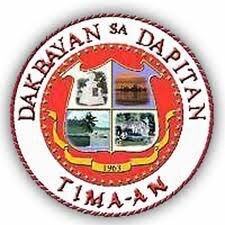 And our consensus is that the City of Dapitan, with the help of the provincial government and the people of Zamboanga del Norte, created a miracle. The miracle is not yet for public viewing, because it is still in its maiden stage and it will only be unveiled during the Palaro,” Luistro said. He said that what impressed him even more of the whole situation, and which has further galvanized his resolve to host the Palaro here, is the support given by the government, specifically the Dapitan City and Zamboanga del Norte government to the activity.